Bay views from Coronado Island Marriott Resort. Discover San Diego’s Neighborhoods with our Summer Sweepstakes. Join us every week as we showcase the best in what to do, where to eat, and where to stay in some of San Diego’s unique neighborhoods. Be sure to check back for exciting insider tips, giveaways, and more! This week’s spotlight is on Coronado. 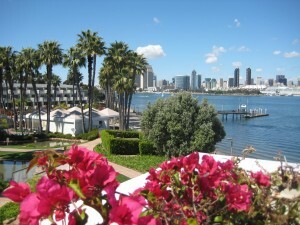 Things are heating up this summer in Coronado, just a bridge away from downtown San Diego. Visitors with swim towels, beach umbrellas and boogie boards are finding their happy place on the island’s 28 miles of beaches on sparkling San Diego Bay and the Pacific Ocean. 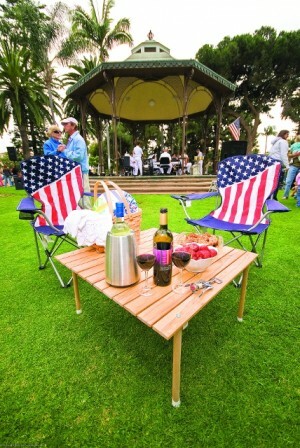 Picnic at Promenade Concerts in the Park. 1. Sure, there’s the soothing sound of palm trees swaying in the breeze, but visitors can also hear the sweet sound of live music in Coronado. A beloved local tradition is the Promenade Concert in the Park Series, which takes place every Sunday at 6:00 pm, through mid-September, in Spreckels Park. A perfect activity for families and picnickers; admission is free.